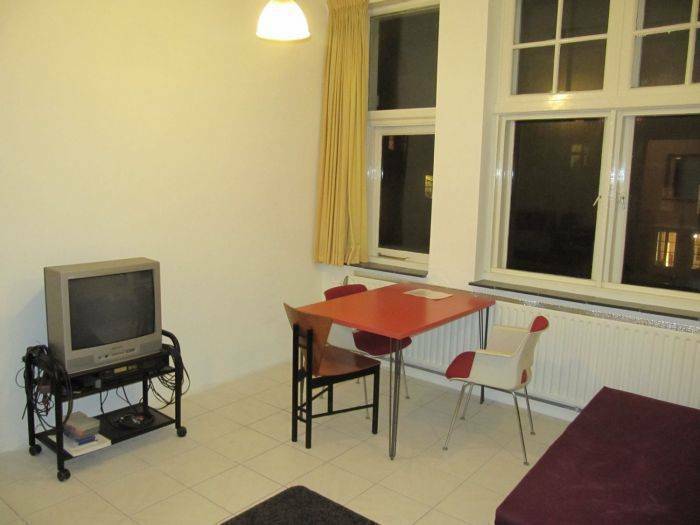 Well-equipped and recently built quality studios in the centre of Amsterdam. A very quiet but central area in the middle of the old city, among the Amsterdam channels. Close to all important museums and public locations, such as Dam square, Damrak, Heiniken Experience, Madam Tussaud, Flower market etc. only a few minutes’ walk. 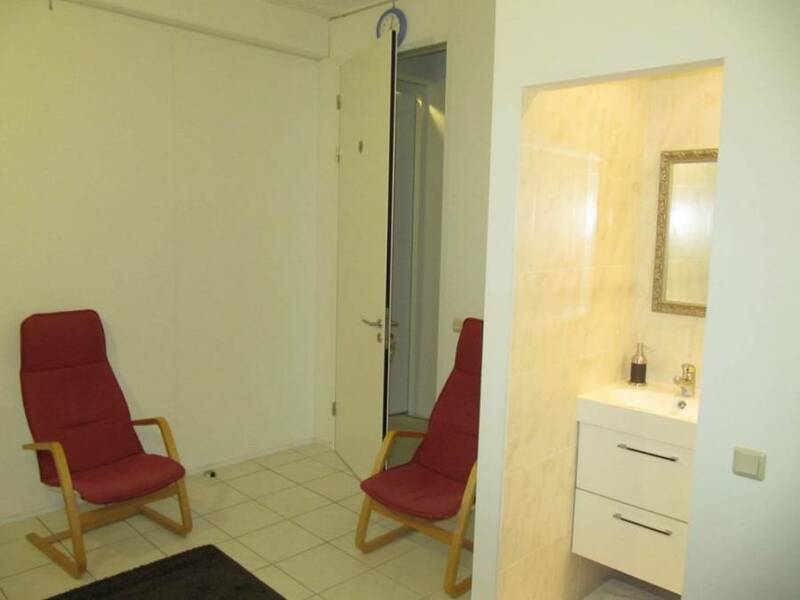 The quality is excellent and the location superb central in town. Easy to wlak all important locations but at same time un unexpected quiet place in a busy city. 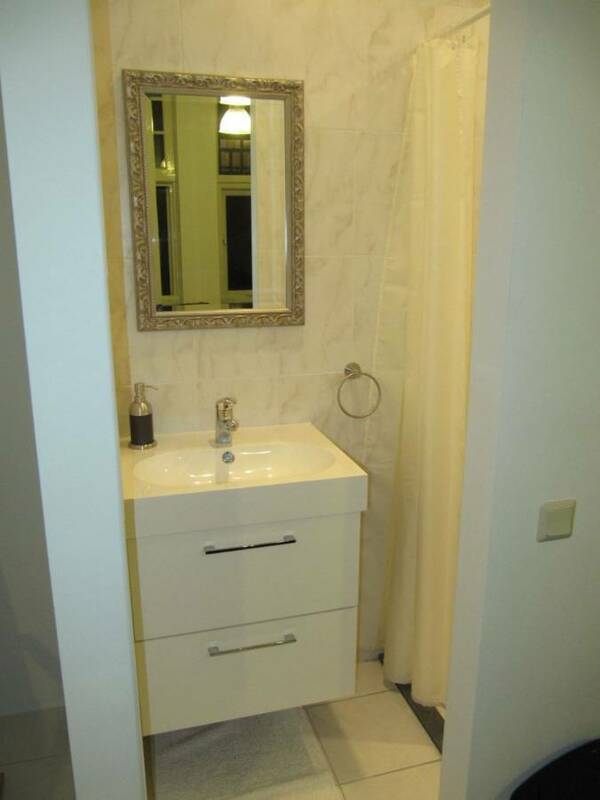 The two studios (24 m2/ 80 square ft.) are located in the city centre in a pleasant environment. The windows provide lots of natural daylight. 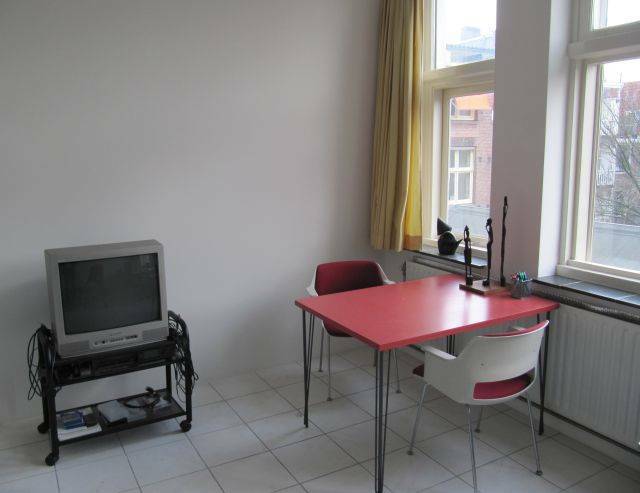 It’s a safe, secluded and a private place to stay, at walking distance from all the main attractions, such as Dam Square, the Rijksmuseum and the Van Gogh Museum. Each studio is adequate for two quests. Prices are per night per room for one or two persons. An additional sleeping place for a child is € 49) extra. Each studio has its own separate bathroom (shower & bath), fridge, water cooker and microwave, cups, glasses and plates for drinks and breakfast etc. They share a toilet in the central hall. 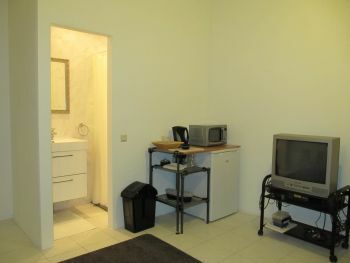 One of the studios has a kitchen, the other a small kitchenette, both suited for preparing ready-made food. You can make your own coffee and tea. You can make your own breakfast or lunch any time, or ask for a serviced breakfast at Euro 9, 50 per person. (Taxes are included). 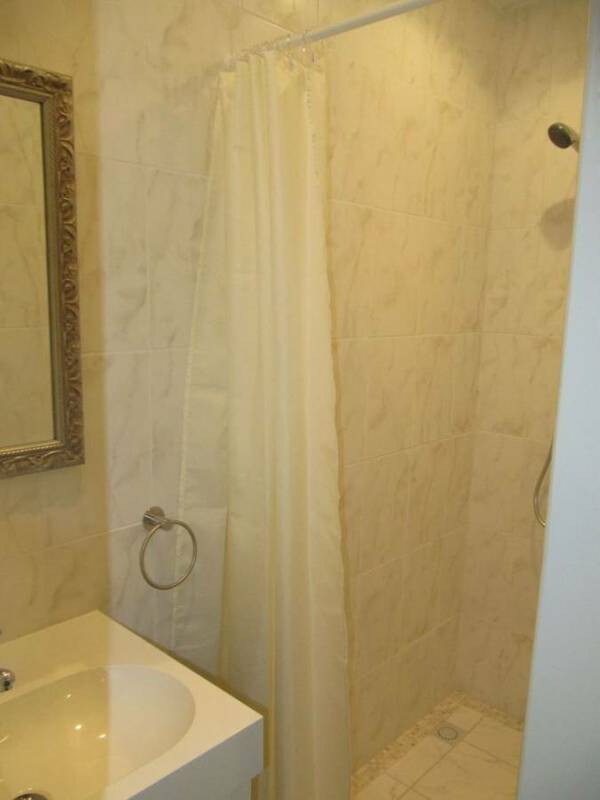 The quality is excellent and the location superb central in town. Easy to walk all important locations but at same time un unexpected quiet place in a busy city. All important museums are within walking distance. Rijks museum, Van Gogh Museum, Museum of modern art etc. Breakfast for the next morning will be brought in the room at the evening of arriving or next day at 09.00 or 10.00.a.m. The rooms will be cleaned after 2 nights of use. After three nights of using the bed will get new sheets, and towels. You will find a WiFi internet key in the room on the information sheet. Visitors have to pay in advance and show a valid passport of which a copy will be made at the registration. For keys and lost the visitor has to pay a deposit of € 100 or $ 125, which will be refunded after leaving. The keys should be given in at the planned check out time of 10.00 AM, the day of leaving. Later check out will be charged extra with the deposit amount of € 100. If losing the keys the client has to pay € 50, to be deducted from the deposit. In case of lost and extreme dirty rooms a charge of at least € 60 will be deducted from your deposit. It is not allowed to smoke in the building or the rooms, and also not allowed to use any form of open fire or fireworks. We expect you to keep the rooms accurate. One of the rooms has a kitchen but it is not allowed to cook food in the room. It is allowed to bring in readymade food in the room and prepare your quick lunch, coffee and thee or microwave meals. It is not allowed to invite other people than subscribed and agreed on during the day or night, unless a special permission is given by the landlord. Extreme noise and nuisance is prohibited. After 23.00 p.m. we ask you to keep silence as much as possible. If there is any loss or damage in the rooms the user should immediately call the landlord. The visitors are responsible for any damage or loss in the room or building. The cleaning fee of € 60 will not be charged when the room has been used in a normal way and is not really dirty or damaged. We wish you a very pleasant stay in our rooms in the old centre of Amsterdam and hope to see you again soon. Tell your friends about it! Payments are due at least seven days in advance (bank account 47.66.47.681, att. of: G. Bueters / excellent rooms + booking dates. Credit cards are not accepted. We will confirm every booking when available and reservations are definite once paid. Cancellations no later than 48 hours before the booking date. If not we charge 50% of your payment and for no shows the whole rent. Guests pay a deposit of € 100 at arrival to be returned at check out time and return of keys. By normal use there is no cleaning fee, but in any other case € 60 will be subtracted from your deposit. You may cancel your reservation by mail without penalty fee no later than 5 days before your booking date. Get straight to city centre by Vijzelgracht turn 3th street on your right direction Reguliersgracht. Tram and train are all within walking distance. Tuk tuks are also around.